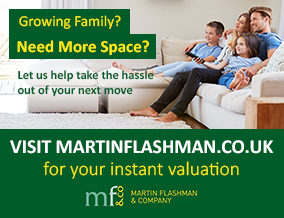 Martin Flashman & Co are delighted to be offering this stunning, three bedroom end of terrace property located in this popular modern development. Our clients have maintained and improved the property to a high standard and the accommodation briefly comprises entrance hall, spacious living room and modern open plan kitchen across the rear of the property which opens directly onto a quality conservatory with French doors leading to the rear garden. To the first floor you will find three bedrooms, the master with a range of built-in wardrobes. The bathroom has been skilfully re-fitted including a luxury white suite with fully tiled walls and quality fittings. Outside, the enclosed rear garden is laid to lawn with gated side access and enjoying an open aspect towards the reservoir. There is allocated parking with further ample residents parking. The property also benefits from full double glazing and gas central heating. Viewings of this lovely home can be arranged by contacting the vendor's sole agent. Disclaimer - Property reference 14082018. The information displayed about this property comprises a property advertisement. Rightmove.co.uk makes no warranty as to the accuracy or completeness of the advertisement or any linked or associated information, and Rightmove has no control over the content. This property advertisement does not constitute property particulars. The information is provided and maintained by Martin Flashman & Co., Walton-on-Thames. Please contact the selling agent or developer directly to obtain any information which may be available under the terms of The Energy Performance of Buildings (Certificates and Inspections) (England and Wales) Regulations 2007 or the Home Report if in relation to a residential property in Scotland.